Yet another Kook for Jesus? 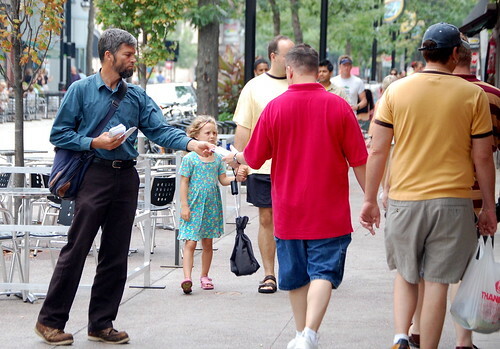 State Street, Friday night, a man hands out his tract. Believe!!! or die in the Fiery Place? I brace and say 'No, thanks', passing by. My kind of guy after all.